From the comments, it was apparent that everyone has a favored salesman type, either Yin or Yang. But I was truly amazed and happy to read some of the comments that came very, very close to what I will be revealing today. These comments validate what I believe a True Salesman should be. But first here are some interesting stats. 45% of those who commented were Yins, 30% were Yangs and 25% were unsure. And out of all the comments, a whopping 91% believed that Yins will outsell the Yangs! That comment is classic Yin thinking and I applaud Julius for his concise and dead on insight. But you see it is not enough to just hire Yangs, because Yangs can also hire other Yangs to sell for them. The true power of the Yin is that they are one of the few people on earth who can control, correct, influence, and persuade the Yangs to be the best they can be. I want you to picture a thoroughbred champion race horse, now that horse is a powerful and magnificent creature — that’s a Yang Salesman. A Champion race horse can run 55 to 65 Kilometers / hour, which is pretty darn fast. Anyone (with a lot of money) can buy one (hire a Yang Salesman), but not everyone can ride one (control a Yang Salesman) without causing any serious injuries to the rider or the horse. Only the right horse Jockey can control the race horse, and typically horse jockeys are no more than 5’5” in height and weighs no more than 116 pounds. Jockeys look normal in every sense of the word, in fact you might not even notice them most of the time, but, they have an enormous power inside of them, they can control the race horse. Now think of the Jockey as the Yin. Without the Yin, a race horse can run like the wind, but it will not be able to run as fast and as hard as when the Jockey is in control, even with the additional 116 pounds. Do you get the picture? Good, let me go a little deeper now and let me now go back to salesmanship. You see not all Yins would like to become horse Jockeys, in other words, not all Yins would like to venture into sales because not a lot of Yins think that it is possible for them to succeed in it. Great words Sofia, and let me add to that this truth: All Yins, and only the Yins have the immense power to control the Yangs if they so wanted to. Can you imagine a racehorse controlling another racehorse? Or an outgoing, extroverted person controlling another outgoing extroverted person? In some cases it can work, but in most of my experience, that relationship will be “explosive” in tagalong: “kapag pinagsama ang dalawang taong malakas ang dating, sasabog iyan”. You see, it’s all very simple, Yang Salesmen have a tendency to repel other Yangs and if the other Yang happens to be a potential customer, getting a Super Yang to close will most likely turn into a contest of who can convince who. Instead of just closing the deal, a Yang usually has the tendency of OVER SELLING which is a big No, No in sales. I have had the privilege of seeing my wife (A SUPER YIN) sell a few times and she closes 99% of them (FANTASTIC if you ask me). Honestly though, and my wife will admit this to anyone. She is not comfortable doing the selling on her own, it freaks her out, but still she manages to get the customer to buy anyway because of this simple truth: Yins are perceived as ordinary “honest” folk who do not sell but who give advice and make honest recommendations. In other words, if a Yin is selling, the customer usually let’s their guard down, and are more open to possibilities. And if the customer is open to what the Yin has to say, 99% of the time they will buy, because Yins will almost always tell the truth. And in the world of selling, truth and honesty is the key to sales success. So for the Yins out there, listen to what I have to say: “There is no need to be a great talker, no need to be a great presenter, no need to be a great charmer. There are only 2 things you have to learn to become possibly the greatest salesman in the world: 1.) Have confidence in yourself and 2.) Learn how to close the deal. If you want to learn how to build confidence and close the deal, I’m inviting all of you, whether Yin or Yang to go sign up for the Intensive 2-day Sales Training Workshop. Conducted by yours truly this June 9 and 10, 2010 ( Wednesday and Thursday) from 9AM to 5PM at Suite 1503A West Tower Philippine Stock Exchange Center Exchange Road Ortigas Center Pasig City. Attend Mark's 2 day Sales Training Program! I hope to see you all there! Also feel free to leave a comment, I would honestly love to hear from all of you. hi! would like very much to attend on your seminar re proactive sales and mrktng…but i’ve prior appointment on that day… would you have another same seminar event coming ? It’s a great business advice. Truly an eye opener and a really wonderful twist of life! Thanks, Mark! WOW! I’ve been waiting for the Part 2 before I comment. This is such an eye-opener! Thanks…your article is very insightful. I am into sales and would share this to my colleagues. 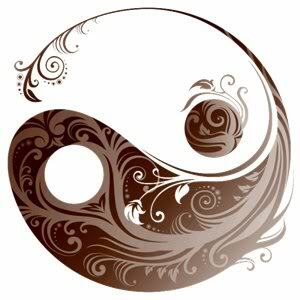 I am a Yin too and is desiring to be a Yang because I thought then that that’s what it would take to succeed in this profession. I’d love to attend your seminar not just this month as I have commitment already. Next month most likely and I’ll bring my co-workers with me. Thanks again and continue sharing your learning. Hi Martha, thanks for writing in! Regarding love, most definitely 🙂 If you are married take a look at your spouse, there’s an 80% chance that he is the opposite of you and a 90% chance that if he is a Yang, he will follow you, protect you and adore you. Because that’s exactly how I (Yang) treat my wife (Yin). Also observe your friends who have relationships and you will see that it will be true as well 🙂 Wow I should be a love doctor as well ha ha ha Talk soon! wow! great part2 insight, very clear and concise. but it’s the yin who will likely get a deal from the king? The Yin can actually convince the palace guards and get the deal from the King on their own if they so wanted to. More of that in Part 3 😉 talk soon! About the Yin and Yang are absolutely true…i myself never realize that i will be a great sales person and made my life upgraded to the most that i can…like what i said i never go frequently outside, i prefer to stay in my room, im not that extrovert type and not also introvert, bcoz i talk if necessary and means money. I discovered my talent when i began thinking…what are the real qualifications of a sales man? FIRST sell your self.., that is honesty…build a harmonious relationship…filipinos are good in pakisama and masarap makisama….i speak based on my real experienced…im not an engineer but i deal with all kinds of engineer…technically i dont have much idea…i learned from them bcoz when they asked some question about the product i just smile and say…sir u know more than i…its all given in brochure po…and then i started raising so many Y’s na parang nagkwekwento lang and ..they will talk much about the technical and i will just listen and say…kaya dapat meron kayo nyan…. Very inspiring i like this blog the first time i read your article in the newspaper it was so amazing. It is really an eye opener i hope i can apply it to myself im so YIN. Like now i venture to a foodcart business and its so hard for me to sale it but in my heart i want to i don’t know how to start and am afraid how to answer their possible questions especially if you have a yang client. Thats why sometime i feel frustrated and wants to give up. Thank you for these phrase it make me smile and gives me hope. Because im afraid to talk infront of many people doubt to what will i say maybe it would be wrong. “There is no need to be a great talker, no need to be a great presenter, no need to be a great charmer. There are only 2 things you have to learn to become possibly the greatest salesman in the world: 1.) Have confidence in yourself and 2.) Learn how to close the deal. now i am enlightened that to much talking does not work much in selling, it is in the simplicity and the truthfulness of conversing with clients that earn their trust in a yin salesman, GO YINS!! !, thanks mark that very inpsiring advices, i’m pretty sure that more YINS would come out in the field after reading this tale. That would be my hope too. Talk soon Oliver. A lot of people have been blessed in having the opportunity to come across with this information including me. Being an automotive service consultant here in North America is so challenging & honestly I’ve been looking up to my fellow consultants who by nature are I would say Yangs. Our upsell results never goes far in volume comparatively even though they do a lot of talking more than I do. Thank you so much. This piece of information has again reassured my confidence in my personal conviction that truly you can earn a customer’s trust by going through the Yin’s way. I am sure a lot of people are interested including me to attend your seminar but I am proximity challenged right now being here in North America. It would be awesome if you can come up with Webinars on similar topics in the future. Webinar is the trend here in North America & it’s really effective & flexible. I strongly recommend you give it a shot sometime. Hi Dax, so nice to hear from you again. It is my pleasure to share what I have experienced in my wonderful adventures in life. It is because of people like you that I honestly am inspired to continue to share and educate. Webinars are coming soon enough. I have tons of them but primarily for Forex Trading, my other passion. Please do visit my blog often as there will be more sharing and teachings to come, Part 3 will be out before you know it. Thanks for the post. I read alot of books and articles in the internet which can sometimes be redundant but I learned something new in your post. Ha ha, thanks Aileen, hope you and the baby are in good health :-). That’s why I blog, to give a fresh perspective on things. Talk soon. Part 3 should come out very soon. Hi Mark! Sayang i missed the sales training seminar yesterday and today. Could you have another round of it the soonest? Hi Cesar, thanks for writing in. Yes, it will happen again in July. I’ll post the dates as soon as we finalize it. Talk soon! Your words are true, I just have few words to add, ” How could you hold a torch of fire to lighten others way with out brightening yours”. A Yin must first experienced him self how to become a good salesman, from presentation to closing techniques. In this way, he could able to lead Yangs to do the same. Part 3 and conclusion of the Tale of Two Salesmen has already been posted. Happy reading, and happy learning everyone!